“Our mission is to stock and distribute a complete range of heating products that are specific to a vast array of tasks, then back those products with quality customer-attentive design and application assistance, warranty service, timely order fulfillment and a resolve to earn the business of our customers". 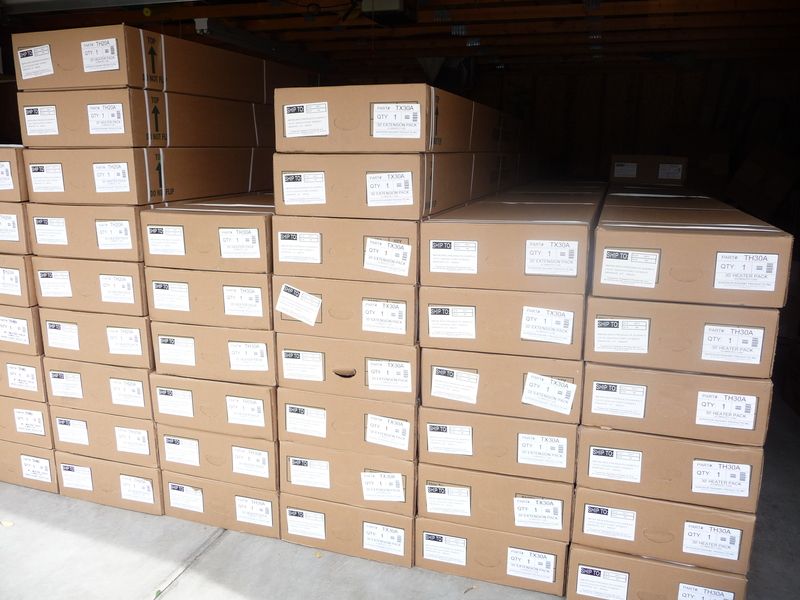 Heaters Unlimited is a division of Infra-Red Products Supply, Inc. located in Draper, Utah. Since 1986 Infra-Red Products has served the needs of the HVAC industry by giving customers the best products available in both commercial and residential space heating. Infra-Red Products handles lines outside the norm of conventional heaters and systems, opting to deal more in products that are specialized, high efficiency, or designed for a specific task such as garage heating, zone heating, room heating or even outdoor patio heating, using both infra-red (radiant) and forced air heating methods. With extensive factory training and "hands-on" field experience, Infra-Red Products has the knowledge and skills necessary to design and specify heaters and heating systems tailored to the your specific heating requirements. In addition to comprehensive technical capability, Infra-Red Products has the core business, organizational and operational competency to manage and procure projects from start to finish. The personal relationship Infra-Red Products has developed with dozens of heating equipment manufacturers is a key ingredient in being able to facilitate system designs and quotations, product guaranties, and process orders in a timely and efficient manner. The Heaters Unlimited site gives you a convenient and affordable way to purchase heaters on-line or by phone with technical support from people who know the business. Most of the products shown here are described in detail and can be easily purchased on-line via credit card. Other products, such as infra-red tube heaters and direct-vent wall furnaces are a little more technical and require our assistance. One way or the other, you'll have access to our personal expertise and technical guidance to ensure that you get exactly what you're looking for. This web site is maintained by our in-house web master to ensure that the products and descriptions are always fresh and up-to-date. We take pride in being able to give you enough information so you can make an educated decision and then confidently place your order on-line. If uncomfortable doing that online, give us a call and we'll happily take your phone order. This site is not intended to provide a detailed description of our entire range of products. So, if you don't find what you're looking for, please email or call us with a description of your particular needs and we'll get back to you. The following list of manufacturers should give you a better idea of our lines and capabilities. You can also visit our corporate web sites http://www.infraredinfo.com or http://www.superiortubeheaters.com for a more comprehensive overview of what we offer. SUPERIOR RADIANT PRODUCTS Gas infra-red tube heaters in single stage, two stage and vacuum fired systems. For auto service garages, warehouses, factories, aircraft hangars, shops, etc. ENERCO TECHNICAL PRODUCTS Gas infra-red high intensity heaters, residential garage heaters, outdoor patio heaters, and Mr. Heater portable propane heaters. ESKABE Direct Vent Gas Heaters for cabins, family rooms, bedrooms, dens, room additions, lofts, offices and much more. CHROMALOX Electric cold weather heating products such as forced air garage heaters and electric infra-red heaters. FOSTORIA INDUSTRIES Electric infra-red quartz tube, quartz lamp, and metal sheath overhead infra-red heaters, unit heaters, portable electric forced air heaters and cabinet heaters for general space heating, spot heat and freeze control. IR ENERGY, INC. Ceiling suspended and post mounted gas radiant heaters for outdoor restaurants, patios, decks, breezeways and freeze control applications. VAL6 High Efficiency fuel fired portable infra-red heaters. These amazing heaters can blanket a large area with 1/3 the BTU's of conventional forced air salamander heaters.